In my new life as a student of psychology, I want to understand why people make the decisions that they do. The research is clear that nonhospital birth with a midwife reduces obstetric interventions but substantially increases risk of death and profound injury to babies. MANA’s own hand-picked data bears witness to an increased risk by a factor of at least two or three, as does MANA’s own study. 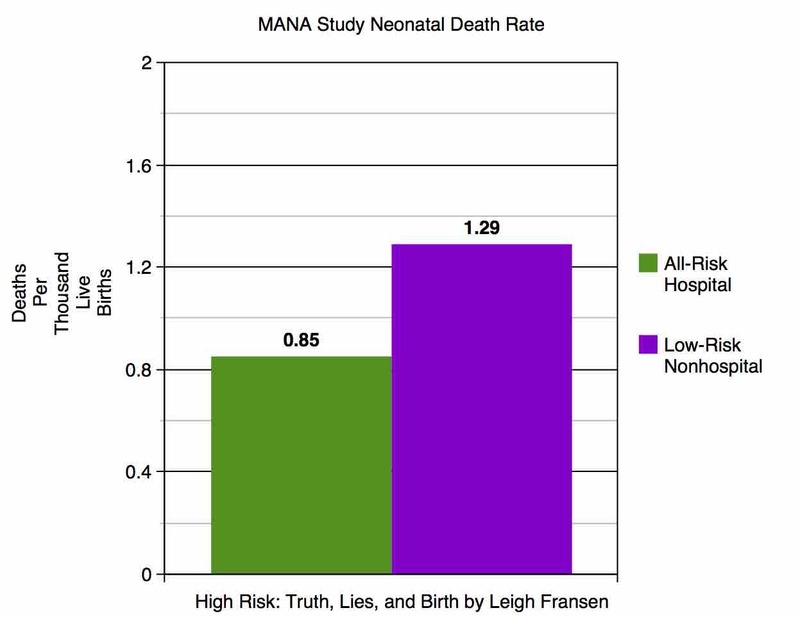 The obstetric data is even more unforgiving, showing risk of death at nonhospital birth between four and ten times that of the hospital. So, why is it that thousands of intelligent, well-educated, and economically advantaged women are choosing nonhospital birth every year? Is it because they don’t know the facts? Or is it because they feel that a dramatically higher chance of death or injury to their newborn is not as important a consideration as their desire for fewer obstetric interventions?